Steve Arlin was an American baseball player from 1969 to 1974. 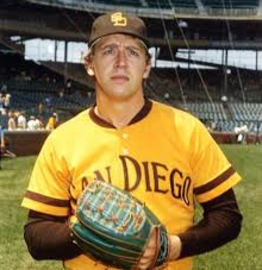 In his tenure as an MLB pitcher, Steve played for the San Diego Padres and Cleveland Indians. After his run as a professional athlete, Steve Arlin became a collector of vintage western toys (i.e. toy guns, holsters, etc.) and has published a book on the subject. He was advising hobbyDB on cataloging Western toys and had started documenting his own collection here on the site. Steve died on August 19, 2016.